5.11 4-IN-1 Patrol Jacket | 301076, 5.11 TACTICAL SERIES, 5.11 4-IN-1 Patrol Jacket | McDonald Uniforms, Inc.
Once again, 5.11 Tactical Series combines the traditional needs of law enforcement with today's new technology in fabrics to create a great duty jacket. 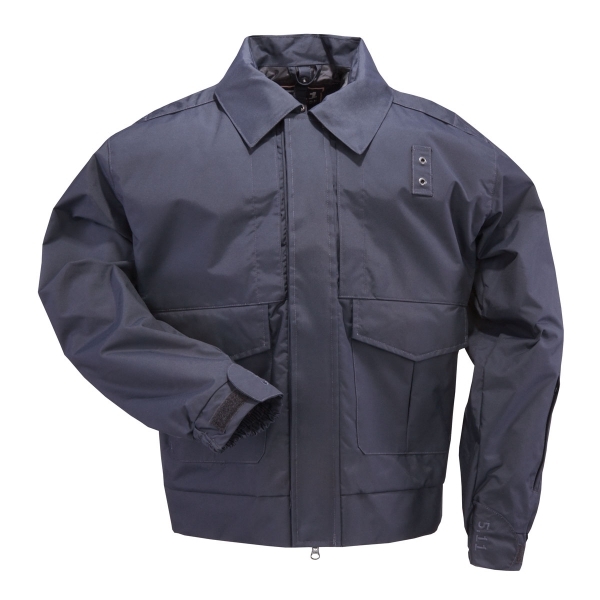 The 4-in-1 Patrol Jacket features high-performance Dupont Active Layer waterproof/breathable construction and blood-borne pathogen resistance. The 4-in-1 Patrol Jacket has standard patch pockets with hand warmers as well as our Back-up-Belt System hidden document chest pockets for storing critical gear. Designed to adapt to different weather conditions the 4-in-1 Patrol Jacket will keep you comfortable in a number of weather environments. 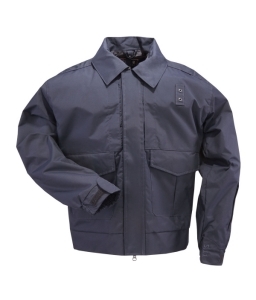 The waterproof & breathable outer jacket can be worn separately or with the fleece liner. Included all the features you need for tough duty work under most cool/ wet weather conditions.